Who plans my photovoltaic system? Who build my photovoltaic system? How much cost a photovoltaic system? We have an advice! Your photovoltaic specialist in your neighborhood. Before you ask please first browse in our database. Here you find many systems and installers in your neighbourhood. 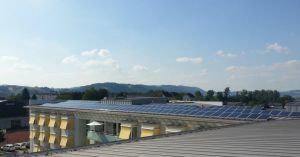 Solar PP3, s.r.o., Qnet CZ s.r.o., Solarinvest ST-green energy s.r.o. Retek Zoltán, Parcel Ltd, Manitu Solar Kft.